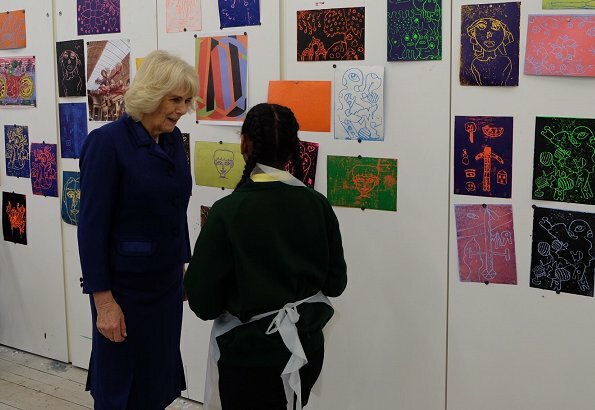 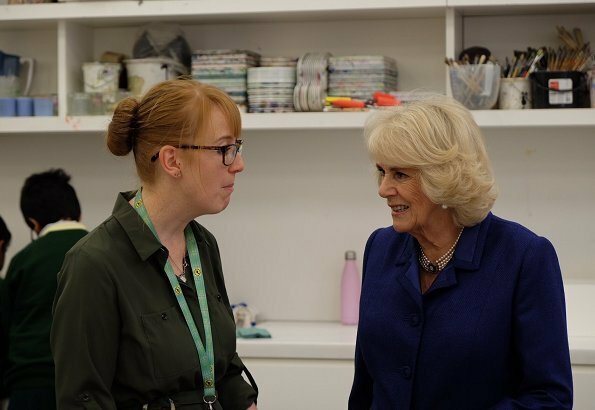 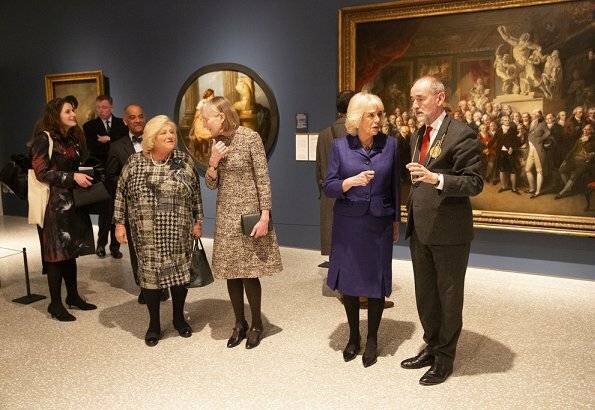 Yesterday, The Duchess of Cornwall visited the Royal Academy of Arts in London. 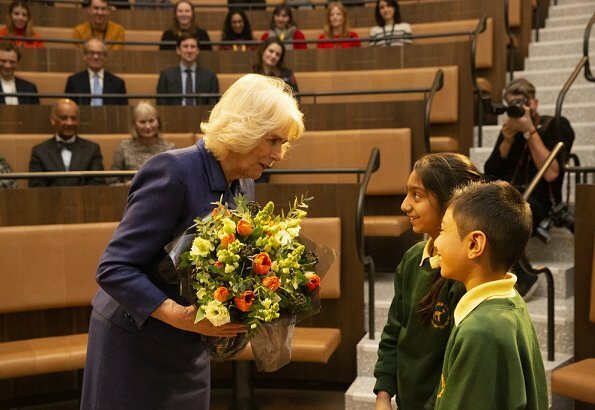 The Duchess is the patron of the Academy Friends. 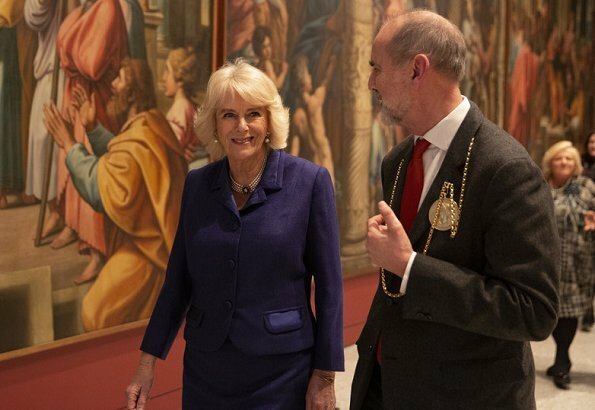 The Duchess toured the Royal Academy’s redeveloped campus, which was completed last year for the Academy’s 250th anniversary. 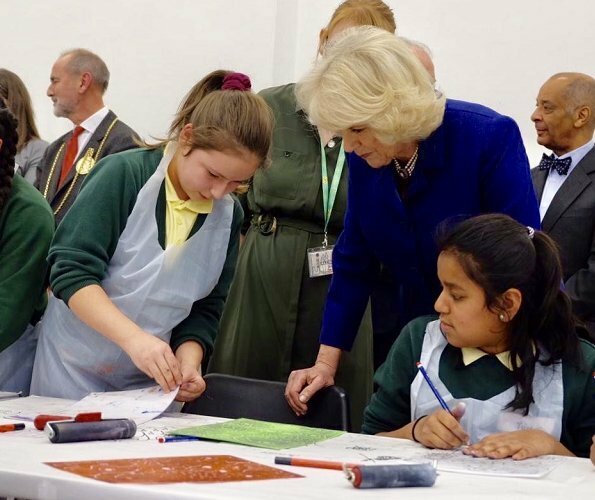 The Duchess then met with children from Roe Green Junior School as they were making colourful prints in an art workshop. 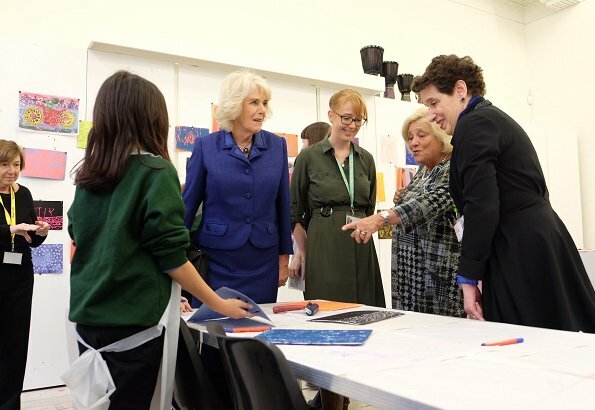 That school has been working with the Royal Academy to encourage creative learning with the children. 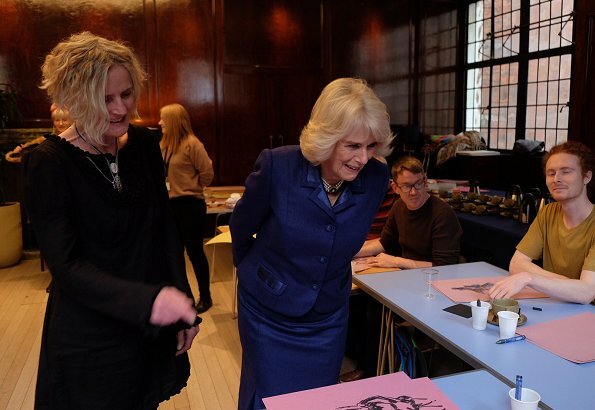 Then, The Duchess visited a life-drawing workshop run by Portugal Prints, which is a collective of London-based artists who provide creative therapy. 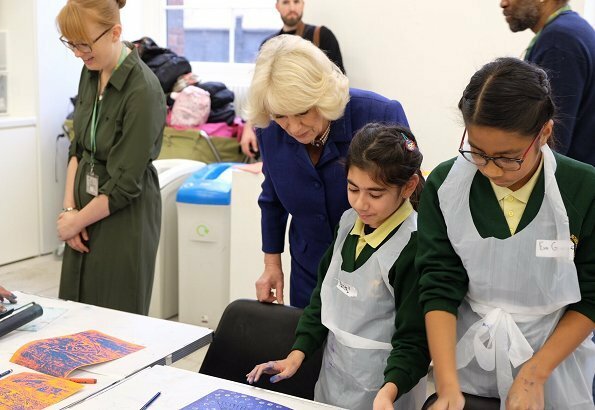 The Royal Academy has been working with Portugal Prints for over seven years and runs monthly workshops. 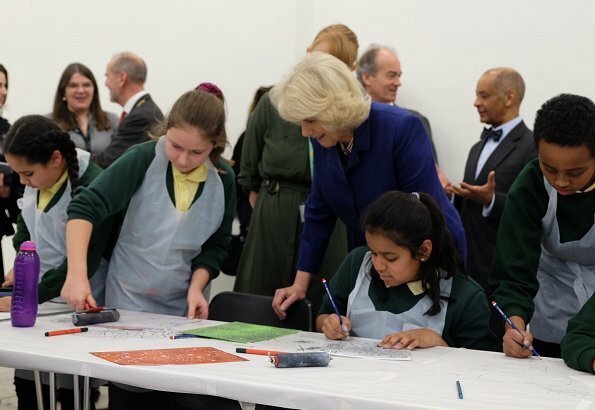 The Duchess of Cornwall looks good as on 99,9% of her duties. 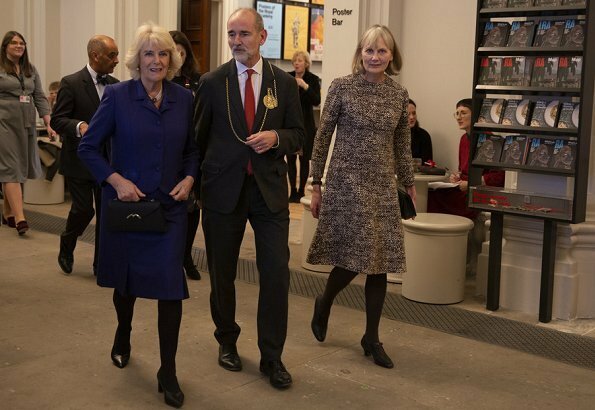 She has a good sense of colour and shows real commitment on her engagements! 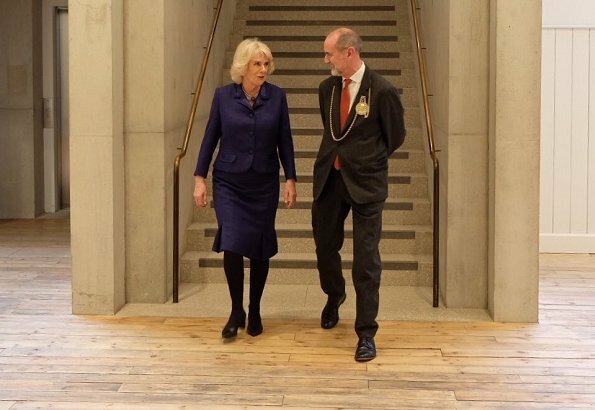 "there is this thing about British woman and black stockings (tights) :)"
Looks beautiful on the Duchess of Cornwall this blue color and very much the cut,good choice.